Join Voice Over Expert Pat Fraley in his lecture “The Almighty Playback”. Pat gives you a lesson the on importance of playing back your recorded efforts and using processing and sound effects to advance your skills and address your booking-to-audition ratio. This week, Voices.com is pleased to present Pat Fraley. Pat Fraley: Hi, this is Pat Fraley with a lesson on the importance of playing back your auditions and practice recordings and a way of making this procedure fun and at the same time, increase your booking to audition ratio. We’re now living in an era where recording at home for audition is a way of life for the voiceover community. Now what do agents and casting people say as the single biggest problem with this? Self-direction. Even if you have been at it for a long time, we can no longer rely on insights from booth directors and casting people. This means you have to recognize the story and or message and copy a script or text, recognize the appropriate style and make meaningful, interesting choices with acting and characterization which realize the project. 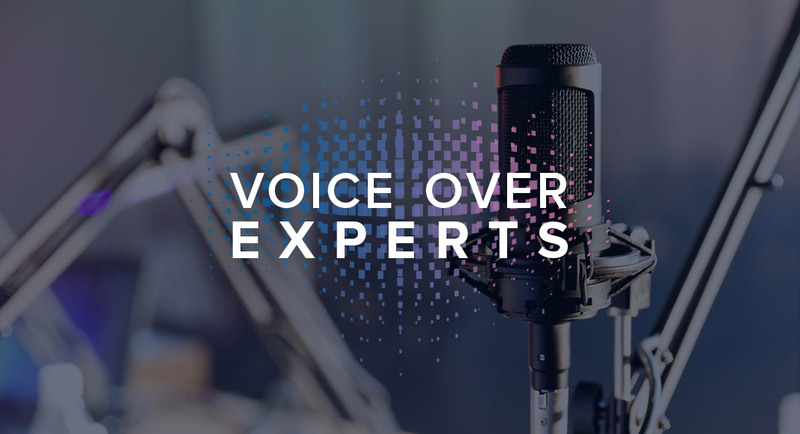 Now, let’s get practical on addressing and accelerating your voiceover efforts. Always play back your recordings and don’t just listen. Train yourself to hear. You see, there’s a gap between perception and reality. Perception being what you intend to go down on the recording and reality, being what you get when you listen back. Now you must narrow this gap so your recording is close to what you intended to lay down. That’s why when you listen back, focus on one single question, “Did you realize the story with your acting and character choices?” If you are tempted to stay in engineering mode, you know, listening for the levels at it et cetera, you need to listen twice. Okay, now, here’s a mindset that will hold you in goof stead. Think of how the project will sound when it’s finished with music and sound effects and with the other performers, if you’re doing sides for an audition piece in only laying down your part. Here’s what I’ve done every so often which is fun and helps me narrow the perception reality gap and on occasion, it actually gets me hired. I read my script to copy, I define the story, the characters and the scene. I make acting and character choices that best realize those aspects. Lay it down. I listen back. If I’m happy with the track, I don’t stop there. Sometimes I have some fun. I mix in the appropriate sound effect or music behind it and even process the sound of my voice that’s called for in the spot or script. Let me give you an example. I had an audition for a restaurant in Baltimore. The story involved a helicopter pilot reporting from the air so I laid down the audition piece. Here’s part of it. This is Pat Fraley as Brian. Cynthia, we’re headed towards the (Charles Street Bridge) where a man has reportedly shed his clothes and he’s trying to signal the motorist passing down on the JFX. You noticed how I’m yelling? That’s of course because the pilot is in a helicopter. Now, here’s where it gets fun. I process the voice to sound like he’s on one of those horrible mics in the chopper. Now it sounds like this. I did this with a cool little audio processing software that I can access right – well, I’m inside my audio software called SFX Machine. That’s two words. Google it. It’s about 75 bucks and they make a Mac and a PC version. With it, I can make my voice sound like it’s over a bullhorn, a bad PA system, a phone, hello, or even a bad industrial film. Now, I didn’t stop there. Over the years, I’ve collected some brief sound effects. I don’t have a lot but I cover the basics like some traffic, a restaurant, and a few slaps. Aw! And a little helicopter so I took the helicopter and slapped it behind my audition. I sent it off that way and booked the job. Here’s how it sounded. This is Pat Fraley as Brian. Cynthia, we’re heading towards the (Charles Street Bridge) where a man has reportedly shed his clothes and he’s trying to signal the motorist passing down on the JFX. Oh my goodness, somebody feels pretty good about himself. Wait a sec. This fellow is unfurling some kind of sign, a message written on a sheet that reads, “Unchain Thyself.” Cynthia, the naked man now appears to be dancing the chicken dance. Oh, yes. Some of my colleagues and students have had good fortune doing this as well. I think it gives the casting person a better sense of how we will sound when the job is done. Sometimes it’s needful. When you think about it, they might understand that I have to shout into the mic to eventually sound like I’m a copter pilot. One thing I do however whenever when I send out an audition which has been processed, I also give them a version that is dry or not processed. As far as starting to accumulate your own sound effects, the good news is that there are plenty on the internet which are free. Just Google free sound effects, three words and you’ll find them. Also, I pick my shots on this. I only use this when I believe it’s genuinely needful for the casting people or producer to hear the real deal especially when my performance sounds weird without it. If you would like to have a fuller experience on how to find a story, realize it and hear your efforts with all the trimmings, sound effects, processing and do it all day, I’ll be in Phoenix, Saturday June 28 for a very special event called “Mix Down, Melt Down.” You’ll be doing this working on mic technique and more importantly, participants will be recording until their ears fall off. Just go to my teaching page on my website PatFraley.com. Click on the Phoenix Melt Down event for more information on how to register and thank you for flying Fraley Airlines. Julie-Ann Dean: Thank you for joining us. To learn more about the special guest featured in this Voices.com podcast, visit the Voiceover Experts show notes at Podcasts.Voices.com/VoiceoverExperts. Remember to stay subscribed. If you’re a first time listener, you can subscribe for free to this podcast in the Apple iTunes Podcast Directory or by visiting Podcasts.Voices.com. To start your voiceover career online, go to Voices.com and register for a voice talent membership today. Patrick Fraley has created voices for over 4,000 characters, placing him among the top ten performers of all time to be cast in animation. He has produced dozens of award-winning audiobooks, such as, Adventures of Tom Sawyer, A Very Easy Death, and The Light in The Piazza. Pat produced and performed all 100 voices on the award winning audiobook, The Adventures of Huckleberry Finn, which People Magazine hailed as, “The best yet of this evergreen.” Patrick teaches events, workshops, and seminars on various aspects of voice over across the country, and has created a variety of instructional books and CDs, all available at PatFraley.com. He is a member of The Voice and Speech Trainers of America, and holds a Master of Fine Arts degree in Professional Acting from Cornell University. Did you enjoy Pat’s episode? Leave a comment with your thoughts! Mr. Fraley always gives such great advice! I look forward to meeting him at the Mix-Up Melt Down on the 28th. Ah, now we’re talking. Doing exactly as Mr. Fraley has suggested is something that I have been doing for about 3 years now, when needed, and he is spot-on! Now, of course, none of us would “muddy the waters” by sending a fully produced piece in an audition, but there is much to be said about adding a “little something extra” that lets the client know “He/she gets it”. I am often asked to audition for the spots that require a warm, heartfelt and compassionate tone… I virtually always send the audition in with a very light music bed playing underneath. Once, I had an audition for a spot that had to do with critical care, so I put in a slight “beep” like you would here in an ICU room… BOOKED IT! Same holds true when I do a dramatic movie trailer read, I add dramatic music (VERY effective on those). I have heard others say that you should never put anything on the audition except your voice. Well, all I can say is, there may be some that need just that, however the industry has changed a ton in the last 3-5 years and I’ve booked jobs with Cartoon Network all the way to small corporate jobs by adding sfx and or music. In fact, I have been able to “up sell”, as it were, by adding music. The client was so pleased with the track I used on the audition, he wanted that too! I gladly charged him for production and music… he was happy to find a one-stop-shop. It goes back to what Mr. Fraley was saying: Analyze the script… part of that might be deciding if a sfx or music bed would be wise. As always… Pat you are THE BEST. I have followed this advice and booked the job more, than not. Even creating my own “walla” on some. I notice this really works well for most writers (that are in on the casting process) because they’ve already “imagined it”. As a studio owner as well as a talent, I have to disagree with the notion of making an “audition” into a “production.” First of all, doesn’t it seem a bit like cheating? How do you know that the client didn’t pick the audition with the best sfx, instead of the best voice for the job? Second, are there really clients out there so unsophisticated as to not be able to imagine the helicopter blades and the filter? If so, are we helping them in the long run by catering to this lack of imagination? Third, this approach would seem to favor those with a lot of time on their hands to find and mix sfx. If I’m the client, I’m asking myself, “Why is this guy not too busy doing voice jobs to add all this fluff? What’s wrong with him?”. And finally, as talent, do you really want to be in competition with local studios; or do you want them as allies for the bigger jobs when the time comes? In my studio I hire talent, recommend talent and cast talent all the time. But if you’re taking bread off my table (by doing what the studio should be paid to do), I’m not likely to point clients to you. I believe that the audition should be the audition and that the playing field should be level for everyone trying out. This means either no production elements for anyone, or the client supplies the same music and sfx for everyone to use. I want my client to hire the best VOICE for the job… then when that’s done, we’ll get them the best production. Now – throw organic tomatoes only, please. I auditioned for a spot with a helicopter pilot commenting, similar to the piece Pat mentions. I had auditioned through Voice123. The voice seeker contacted me to tell me the helicopter blades and the processed voice detracted from the audition, because it sounded too produced and didn’t let him hear my voice. I just auditioned for a spot that involved a guy getting upset, so I added a slap in the face (by slapping myself in the face) before the “calm down” line. We’ll see if it helps book the job. His best advice was to imagine the spot and throw in the effects so you can hear what you might sound like in the finished piece. For example, if you add the blades and bad mic, you’d realize as a helicopter pilot you should be yelling. Another advice is to provide the clean voice first, then as a second take add the same read with the effects. Make sure to note that when you send in the audition, so they know there’s something else to hear in case they decide the first take isn’t what they want. Lively, fun, and informative podcast! I do understand Dan Popp’s issue with adding effects, and I’ll have to factor that in, too. But I think I may just have to try my hand at adding music/effects when they may be helpful, as a second take after a dry read.